Just a sample of the clients who have managed to engage our very successful services. Sign up with us now to ensure that you also receive the specialist attention that you demand and expect. Note: we present some of our clients to demonstrate the wide work spectrum of clients that we address and deliberately have not used this as a selling point. We do not rely on testimonials to endorse our products and capabilities, it is sufficient to say that our customers do not leave; confidentiality and privacy of names are protected where requested. 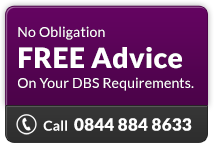 Our Disclosures Online (CRB/DBS Disclosures) service is designed to help companies and organisations to carry out CRB/DBS checks and to provide You with up-to-date CRB/DBS information in order that You can make informed recruitment decisions on the suitability of staff and to provide greater protection to children and vulnerable adults.